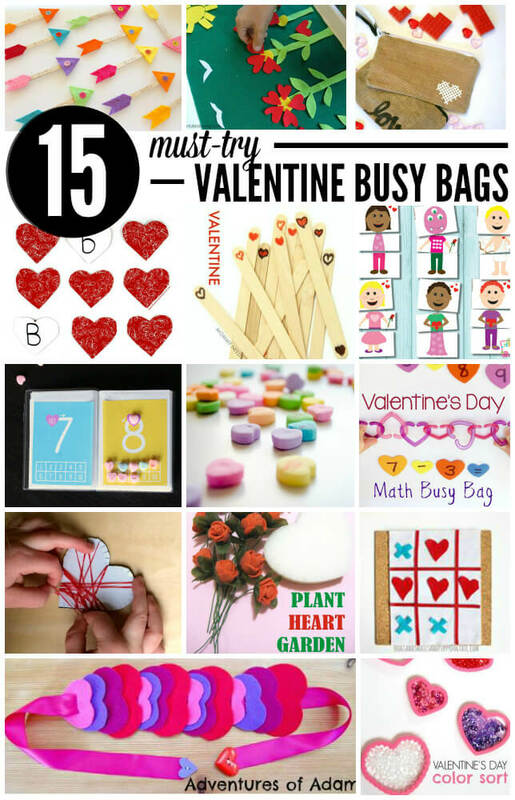 We made a Valentine's Day Busy Bag that would be the perfect quiet time activity for your kids! We love hands on math ideas! This invitation to play is adaptable for patterns, counting, number order, addition, and subtraction. 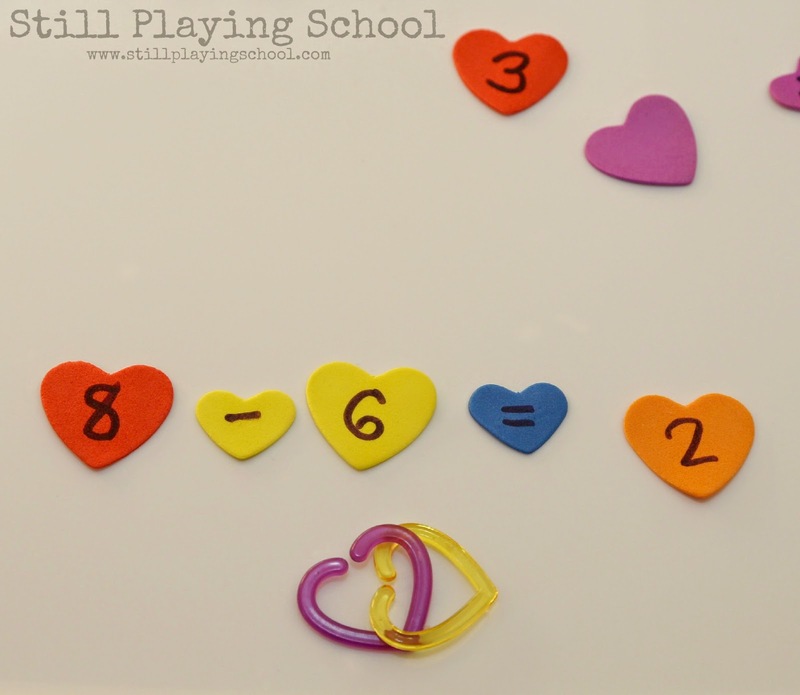 Our Valentine's Day Math Busy Bag includes craft foam hearts with numbers one through nine and a plus, minus, and equal sign written on them and plastic heart links of different colors. I've included Amazon affiliate links for your convenience but honestly I found both of these materials at our local dollar store so the entire cost of materials was only $2 (and can be used again and again)! 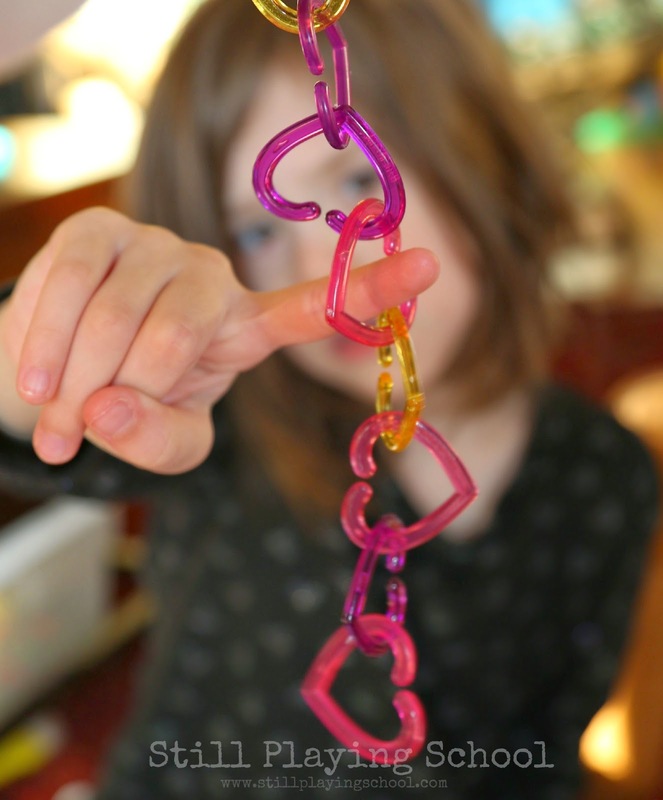 I gave our preschooler E a chain of links. She would count the total and find the corresponding number. Next I would challenge her to add or subtraction from the chain. 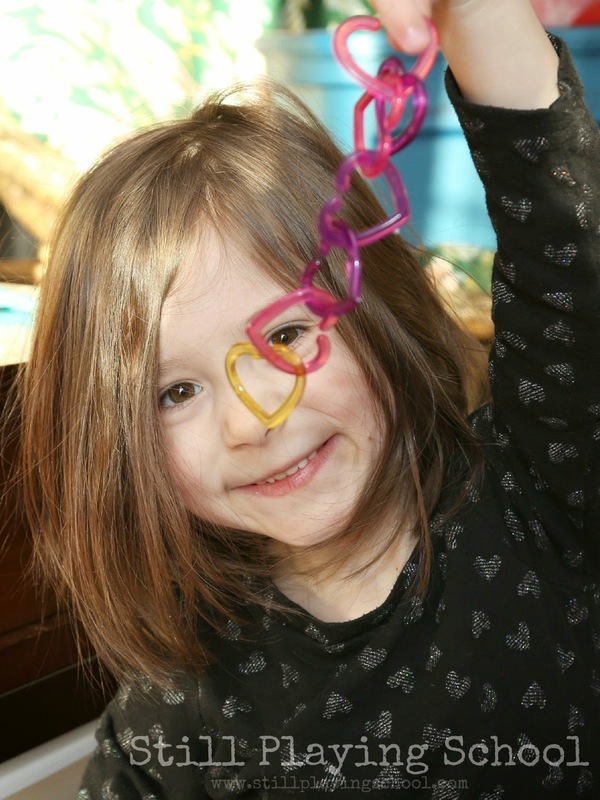 She needed to use her fine motor skills to build or take apart the heart chain. 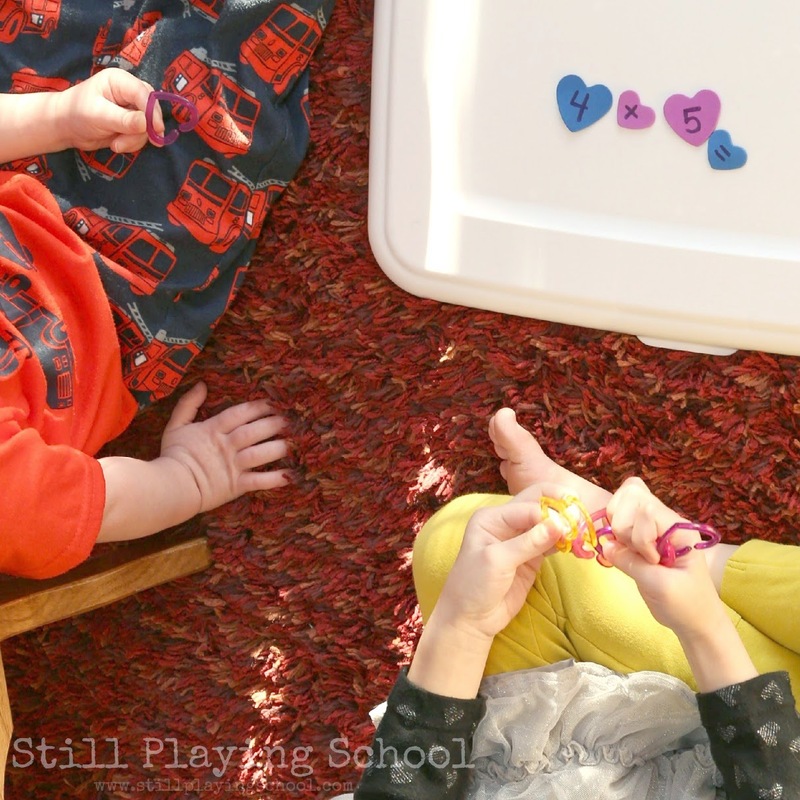 She was also reviewing our homeschool preschool math in a fun and engaging way! Of course whatever E is doing our toddler D wants to work on right beside her! If you look closely in this picture you can see they are both holding heart links. (They both hold my heart when they are working together like this as well!) D is working on naming colors and number identification so we asked him to find the red heart and then asked what number it had on it. 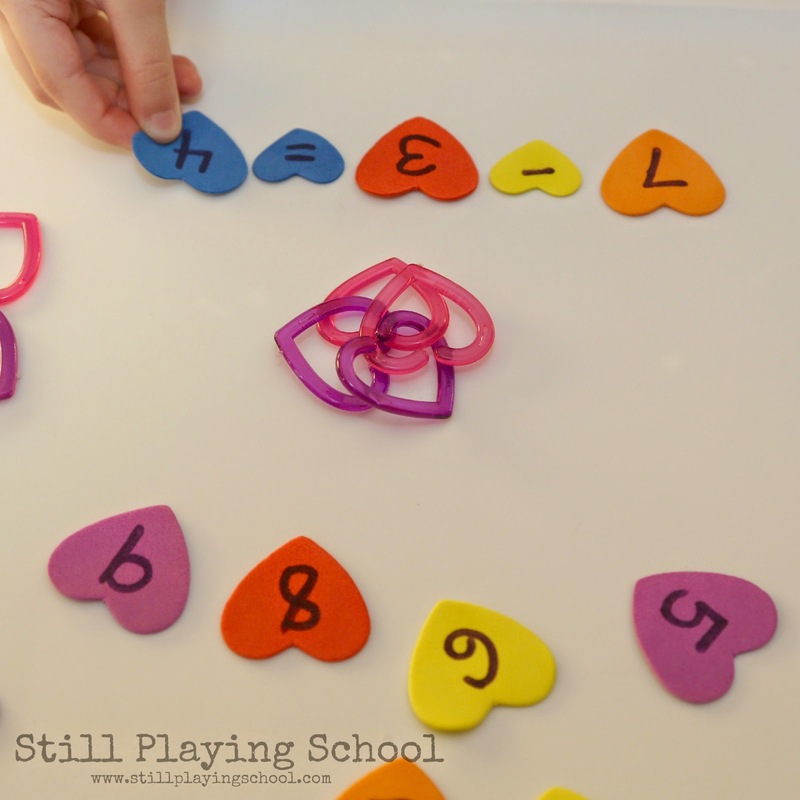 Older children can work on making patterns with the different colors of the links, lining the correct number of links up beside the numeral, or addition and subtraction. E loved working on her math in a hands on, concrete way! 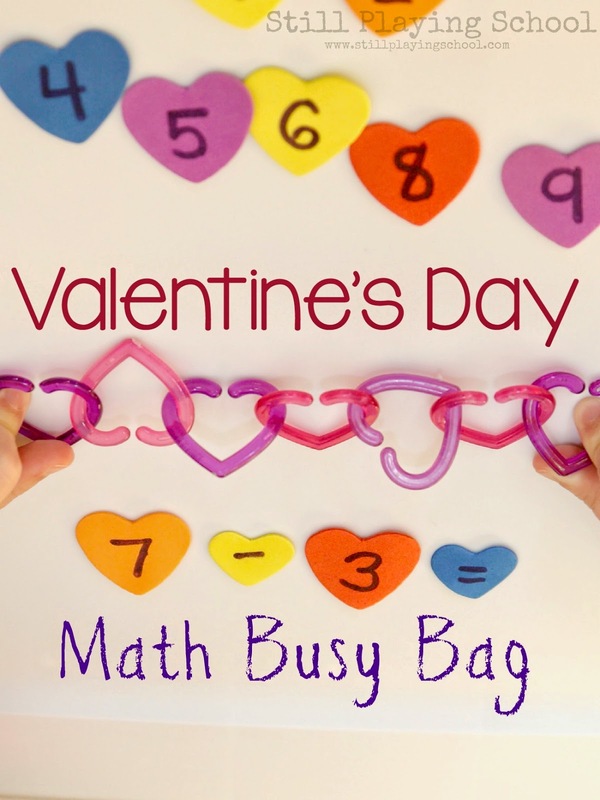 Wouldn't a Valentine's Day Busy Bag be even sweeter than candy for your child to hand out to his or her friends this holiday? We have so many ideas and variations for you! Arrow Addition Matching Game // Mama.Papa.Bubba. I "NEED" these heart links. 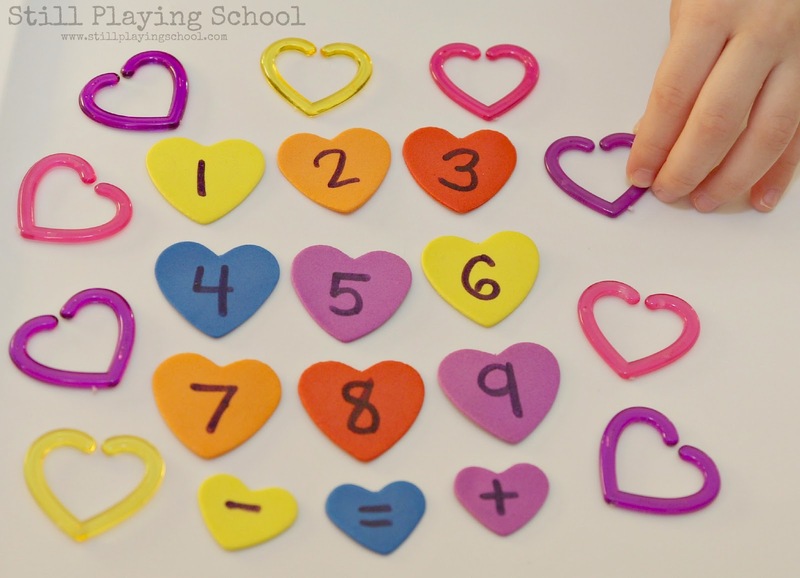 How versatile and what a great math tool for kids that is "pretty!" Love these heart shaped links! My girls would surely love learning math with these as tools! Loving these heart shaped links. So many great uses for them. Brilliant! Now on the hunt for those heart links - endless possibilities!